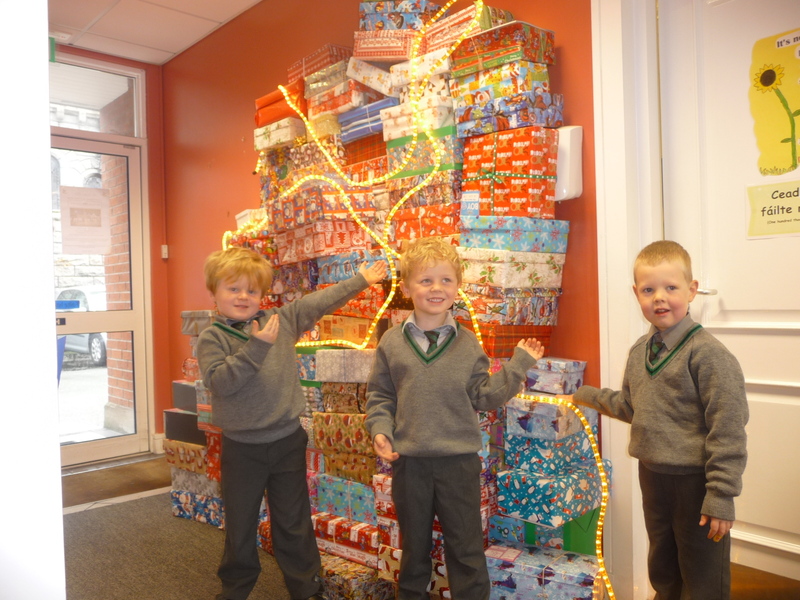 There was a terrific response by the parents and pupils in St. Joseph’s BNS again for the Team Hope shoe box appeal. The shoe boxes will be presented to other boys and girls living in less fortunate circumstances. A big thank you to all who contributed. Congratulations to Dillon, Neil and Ryan on scoring over 100 points during Maths Week on Mangahigh. 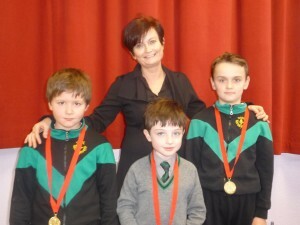 They were awarded medals by Mangahigh for their fantastic achievement. Sgt. Karen Walshe, Commandant Will Cummins and Flight Sgt. William Barr came to St. Joseph’s today to present the school with a copy of the 1916 Proclamation and the Irish National Flag. The visitors were welcomed and presented by Ms. McCabe and Commandant Cummins and Conor Q. in 5th Class jointly read the Proclamation. The flag was then presented to the school represented by Daniel and James T. Christopher K. showed a medal that was presented to his great grandfather who was shot during the 1916 Rising. If you have any memorabilia from the 1916 Rising or if some of your relatives took part we would be delighted if you would let us know about it in the school as we intend to have the 1916 commemoration ceremony in March 2016. Untitled from St. Joseph's BNS on Vimeo. 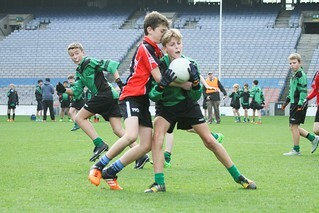 St. Joseph’s e merged triumphant after another football final win in Croke Park. The senior football team, managed by Mr. Brennan and Mr. Ring played with great skill and tenacity to defeat St. Mary and Joseph Primary School, Sutton by 2-10 to 0-12. St. Joseph’s got off to a great start but gradually their opposition showed that they were worthy opponents and by half time St. Joseph’s lead by just 2 points. In the second half St. Mary and Joseph’s picked off some good points to take the lead but St. Joseph’s came back with a goal and several well taken points to win by 2-10 to 0-11. Congratulations to the boys, their managers and their parents. 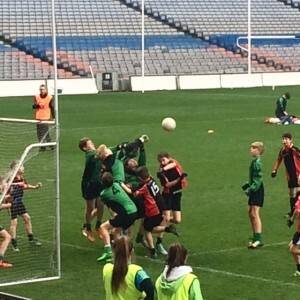 Sciath na nGearaltach final 03112015 from St. Joseph’s BNS on Vimeo.